Panasonic Lumix G cameras do not come with any remote receiver. Neither infrared (IR) nor radio frequency (RF). I like to have the possibility to trigger the shutter remotely, and so I have been searching for an appropriate remote shutter release. Of course, there's always the self timer. But it is more of a hassle to use, and it doesn't give you any control over the autofocus. I have previously tried the JJC JR series Infrared Controller. While it does do the job, it is awkward to use, somewhat unreliable, and has a poor build quality. Also, since it is an IR controller, you need to point the remote towards the receiver. So I was not happy with the JJC JR remote. I decided to try an RF remote from Pixel, called "Pixel RW-221 Wireless Remote Control". It is made for the Panasonic G series, as well as the older Panasonic DSLR cameras. Clockwise from top left: Spiral cord with 2.5mm jack connectors, the remote receiver with a power button, and a shutter release button, the wireless remote control, batteries (4xAAA), and the operation manual. 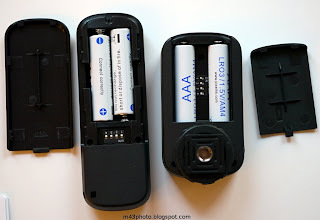 The following picture shows the two units open, with batteries installed. You can see the dip switches, which are used to change the RF frequency. This is useful if you have several units, or if your neighbour has the same product. The remote is used on a Panasonic Lumix DMC GH1 in the video above, but should work with all Panasonic G series cameras. I have confirmed that it works with the Lumix GH1, GH2, and GH3. The latter has a separate remote control socket, not combined with the mic. It also works with the Lumix GX1, GX7, G5 and G6. The Lumix GM1 does not have a remote control socket, and cannot use this remote. The right angle plug goes into the camera, and you must make sure to insert it fully. Some times, this requires pushing it in quite hard. The remote receiver unit doesn't need to sit in the flash socket. But as long as you don't need to mount a flash, it is a practical place for it to stay. When pressing the power button, the red LED flashes to indicate that it is on. The remote shutter can be half pressed for focus, and pressed fully for triggering the shutter. There is an auxiliary shutter button on the receiver unit, which works in the same way. I could not get the Bulb mode to work. It appears to trigger the shutter quickly over and over again. So if you need the Bulb mode, this remote might not solve your needs. This product can be bought at a reasonable price from various auction sites. It has a good quality feel, and works in an intuitive way. All in all, it is highly recommended for those who need a remote control. I've considered buying this product, and there were a couple of concerns that have kept me from placing an order. Would you consider giving insights on the following issues? 1) I've heard that it's easy to for the power button to get accidentally pressed in a bag or pocket, causing the device to turn on and drain power. 2) You mentioned that you can use the shutter button on the receiver. This seems like it would be handy in situations where you're near the camera anyway and don't want to carry as much stuff around. Does bulb mode work in this mode? 3) As you use the unit into the future, would you please report back on whether you have any problems with battery life, interference, spurious shutter actuations, or other problems? 1) The power button does stick out a bit. It must be pressed for about two seconds to power on. When powered on, the red LED blinks with a frequency of about 1hz, so you'll note the status by looking into the bag. I'm sure you could accidentally press the button if it lies in a bag. 2) No, there is no bulb mode on the receiver. There is only a standard shutter button with no options. On the remote control, though, there is the option to select bulb. 3) I will. I have noted in my review of my previous remote that it is an inferior product, and not recommended. Overall, I would say that since this is a low price product, forget your worries and just buy it. It's not like a huge investment, and from what I can see, it is worth the price. Thanks for the review! 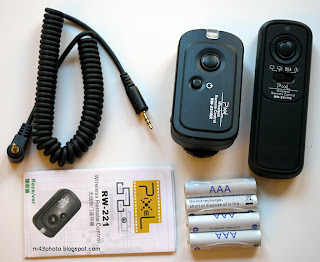 I've been scouring the internet for weeks looking for a wireless shutter for the GH2. Does this extend the shutter past 60 seconds? By "extend the shutter past 60 seconds", I guess you're referring to the Bulb mode? I just tried it, and with the GH2, the Bulb mode simply doesn't work. Rather, it triggers the shutter in a quick series, which is not what you would expect the Bulb mode to do. Please help. I got this remote, but somehow it didn't work on my GH2. The camera takes it as an external mic, not as a remote. Should I do some selection with the menu , or it is a defective unit? Thanks. Is the plug pushed all the way into the socket on the camera? OK - it does work on the GH 2 in all modes . . . but seems a little fussy about the sequence of connecting and switching on. So far, the following sequence has worked to get Bulb working . . . the main reason I actually bought it. 1) As it always says in every manual . . . turn everything off. 2) Make sure the remote control is not still flashing from a previous press in Bulb mode -(press the activation button again if it is and it will stop flashing). Do not connect the lead to the remote unit! 3) Switch on camera and the remote. 4) Connect the lead to the remote unit. 6) Set the camera to M and shutter speed to Bulb.
. . . it should then work, in the expected - first pressure to focus, full pressure to open shutter ... and release. The red indicator on the remote stays on and the one on the controller should be blinking. That is a very interesting observation, David. Thanks for posting your experience here. Here's my complaint with this product: it is restricted to a maximum of 99 shots. For timelapse use, this is a major restriction. 99 shots at a frame rate of 6 fps yields a video of only 12 seconds. Not much. How far away will the remote work line-of-sight? According to the product manual, the range is 100 meters. I have not tested this, though. It's wireless - not IR or something needing "sight" - so line of sight is not necessary. I've not actually tested range - but since you need to be able to see what it is you are photographing to know to push the button . . . 100m seems more than can ever be practical. Just to throw this out there. I looked at your reviews and was really hoping for a better option for using the bulb setting on my G1, so a few months ago I purchased a "GSI Super Quality Professional RF Wireless Shutter" and so far I have to say I'm impressed. Low cost, the plastic feels sturdy, and blub mode works flawlessly. I haven't tried finding the max range, but so far it's more than adequate for my needs. Does anyone know of anyplace I can buy this remote shutter other than an auction site (eBay, etc.)? It's not on Amazon, B&H, or Uniquephoto. Recommend you read David's post, above. The RW-221 works perfectly on my GH1 after following his points. Be sure the right-angle plug goes into the camera body. @Vulcanrider - glad my hours of tinkering to find out "how it had worked once without knowing why" paid off. I'd like to know who put that socket in such a dumb location. With LED screen out and plug in socket, the camera strap just seems to get caught up all the time. Odd question, but I've only been able to get the wired portion of the remote to work. I've set both devices to the same frequency using the dip-switches. The indicator light on the remote appear indiciate that it has power. The corded portion is correctly fastented. Does it sound like I'm missing something obvious? I've heard that connecting the angled plug to the camera is important. I cannot understand why this makes any difference myself, though. It's important that the plugs are inserted fully, but you seem to be aware of that. The receiver unit (on the camera) flashes (with a low frequency) when it is turned on. It doesn't sound like you're missing anything, honestly. Thanks. I'll contact support. It seemed like I was doing everything correctly. The indicator lights on the remote suggest the device is powered and attempting to transmit. And I've tried dipswitch combinations from "Matched" to "Mirror Opposite". The device arrived the day before a trip, and I packed it without the manual (and without testing). I should know better! That matches the background perfectly. Nice to see some of you works. I was wondering if you could start the video mode through this remote control. On the product picture, I only see 4 modes but no video icon. If you set the camera to the "Creative Movie Mode", then you can use the remote control to start and stop video recording. This mode is available on the mode dial, the movie camera icon. The Panasonic G2, GH1 and GH2 have got this mode, at least. I would add that for video, it does work logically - Half press for focus, first full press starts recording (then you can release) second full press ends recording. I use it often. I am having an issue getting the remote to shoot time-lapse on my GH2 without me having to hold the button down on the remote the whole time. Is there a setting I haven't figured out yet? Thanks! What you're looking for is not possible with this remote control. You will need to buy a dedicated time lapse controller to achieve this. Thanks for the reply @m43photo it helps me a lot. I just received my Pixel RW-221, ordered largely due to the information here - thank you - and can confirm it works for video start/stop, and auto focus (half press) on a hacked GH2. Also stills in single shot stills mode it works but I haven't tried Bulb etc. Initially it didn't respond at all, because the right angle plug (4-pole) wasn't in the camera properly - I had to give it a lot of force to make it go in all the way. That plug/socket is probably one of the most annoying on any camera I've used. As you say, the rightangle plug has to be 100% in place, and if anything (the camera strap?) gets slightly in the way it just isn't in correctly. The same applies to a timelapse controller that I use, so probably more a Panasonic failing than the Wireless Remote. The socket position, right next to the camera strap AND the cover for the video sockets means the plug can easily be nudged enough to move it from the 100% inserted position. The light on the receiver doesn't seem to be working for me. It never flashes red. Anyone ever had this problem? The wireless doesn't work at all for me. I can only start the camera/hit shutter with the button on the receiver, not the remote. Is it broken? Recently tried the RW-221 for the first time with a Lumix G3. Initial test was perfect. However, then taking it on an actual shoot, it broke when I pressed the button with force. Underneath the plastic button is a very small plastic pin, which easily broke. Further, the underlying button on the circuit board doesn't look very sturdy either; perhaps may not endure 1000 presses. The RW-221 is inexpensive. If you are going to rely upon it for something important, maybe should buy two and keep one as a backup. The cable has to be insert in the right way or it won't work. I can confirm the item works with the G2. My pixel pawn TF-364 remote triggers won't work on my G2,auto focuses fine when you press the button but it won't take a pic? Any ideas anyone? I can probably not help you. But one tip is that you could check that the camera has actually been able to autofocus. If it was not able to focus on anything, then it will not take the picture. This is probably not going to help you, but could be worth checking. 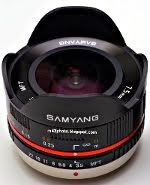 The camera is working fine without using the triggers,focuses and takes a picture without any problems. Not sure why they are not working,i must have a faulty unit. "The right angle plug goes into the camera, and you must make sure to insert it fully. Some times, this requires pushing it in quite hard." Did you connect the cable correctly? Yeah ive done that,i did try it both ways and when you plug in the straight end of the cable it thinks there is an internal mic being plugged in and then it wont do anything. Plugged in the right angle and i pushed it in hard and it still doesn't work. Ive tried a wired remote and that works fine. Did you connect the cable correctly? You should make sure the angled part goes into the camera, and it may require a bit of pushing. You can test it by turning on the remote receiver, and using that to trigger the camera, without the radio remote feature. I think it is quite unlikely that this will work. Even if they are on the same frequency, the handshake and communication protocol could be different. GH2, does ETC affect the video quality?